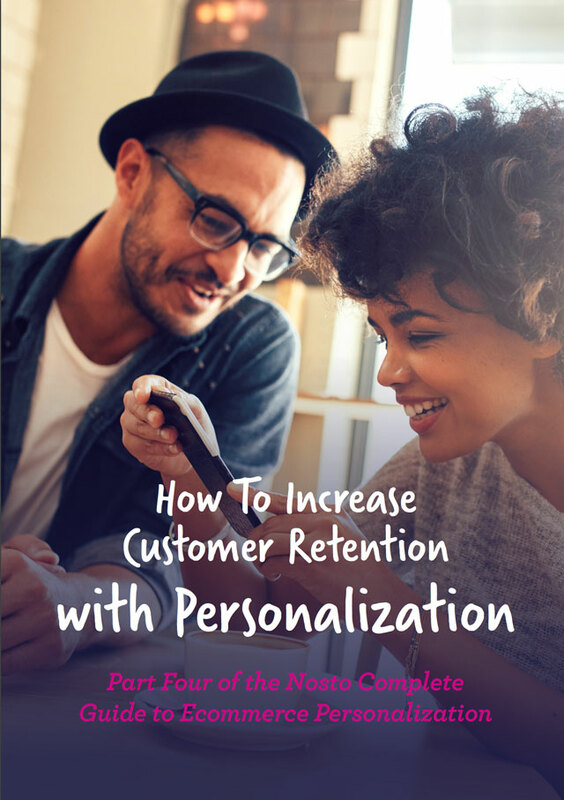 Part Four of the Nosto Complete Guide to Ecommerce Personalization. Did you know that attracting a new customer can cost five times as much as keeping an existing one? But by using personalization you can produce happy customers that are more likely to return! Personalize your customer service channels to greatly improve the customer experience and produce happier shoppers. Dynamically tailor newsletter content to be unique to each recipient, greatly improving the chance of them returning to your store. Use triggered emails to automatically deliver personalized product recommendations specific to the recipient’s browsing or buying history. Entice back recent customers with adverts containing personalized product recommendations based on their previous purchases.